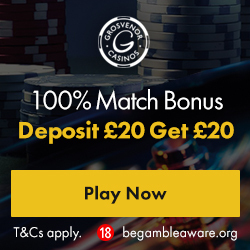 One of the first things that any online casino players looks for when checking out a new site is the promotions on offer. To many, the offers and bonuses available at a casino are just as important as the range of games provided. Below is a list of all casino sites that offer cashback as a bonus to their players. More than 80+ slots powered by NetEnt including favourites such as Stickers, Jack and the Beanstalk and starburst. When you lose at No Bonus Casino you are credited with 10% cashback. T&C's: 18+. Lifetime Offer. Min deposit €25. Cash back with no wagering requirements. Gameplay will be reviewed. One of the most popular promotional tools is a cashback bonus. Unlike most offers, cashback bonuses don’t involve you being given extra money, instead, you earn a percentage back on your losses, taking the sting out of the tail of an unsuccessful session somewhat. -Cashback bonuses are normally real money bonuses, meaning the funds you receive are often not diluted in their usefulness by wagering requirements as they can be with other promotional offers. -Cashback bonuses normally offer between 5% and 25% of your losses from a set period, which can differ from an hour to a month depending on the promotion. -Cashback bonuses tend to work in one of three ways, a return on your losses will either be offered on a single game, a game category (live blackjack, for example), or the site as a whole. Your losses on the eligible games will then be calculated across the period set, and the stated percentage of losses you’ve made during that time will be returned to you as real money. Although cashback bonuses don’t always have wagering requirements, they still can. However, if they do, they are often less than with other promotions. The requirement could be as low as one times the bonus amount, and will rarely go above 10x. Cashback bonuses are often confused with top up bonuses, which are the opposite, in that you get a percentage top up on your wins, if you win on average during the selected time of a cashback bonus, you will not be eligible for it.